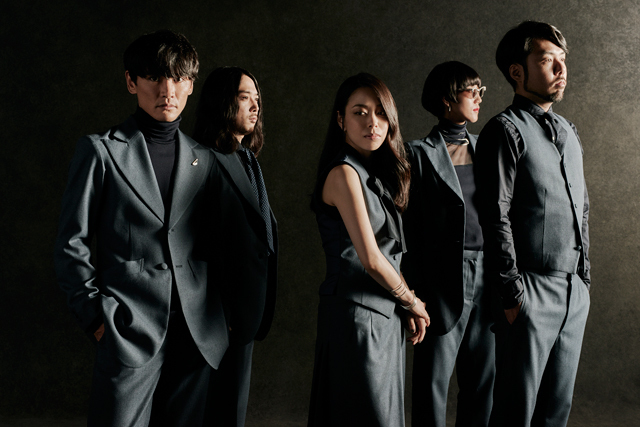 Sakanaction, formed in 2005 in Sapporo , is a rock band having its very own style by mixing various factor of music such as high-literary lyrics, nostalgic and folky melody, club and rock sounds. They became famous in Japanese major music scene via the single “Arukuaround” which ranked high in the sales chart in January 2010. With the following 4th album kikUUiki, the band gave a lot of topics for the advanced attitude and sense to graphics, music videos etc. as well as music. Following their 5th album “DocumentaLy”(Sep. 2011), 6th album “sakanaction” not only became their first No.1 hit album, but also kept ranked in Top10 charts for 4 weeks in. The band’s live performance is attracting extremely high attention to the music scene. They always introduce the latest technology at the time, and the experience of their live act gives us the feeling as if watching a movie with high completeness.